There I found this amazing drawing by talented sister, Elizabeth. In her words from our family text, "A drawing I started working on today and decided to finish before going to bed. 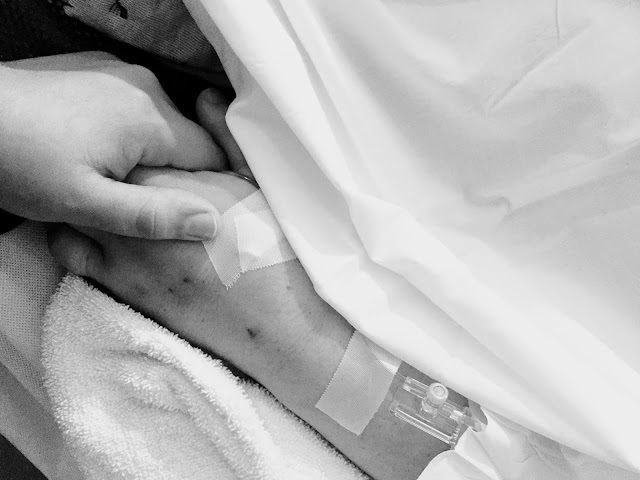 I took the picture of me holding mom's hand before she died and wanted to try and make something positive. It has been 6 months today without her. A bit hard to believe..."
Elizabeth's picture transported me back to the ICU where the small sliver of hope we had left was shattered for good. I remembered taking my own picture holding mom's hand and later using it to announce to the world that she was gone. I got in the shower and tried to wash away the pain erupting inside me. I got out and started to get dressed. I knew lying back down in bed was a mistake but I did it anyway. I woke up 2.5 hours later, threw some clothes on, and rushed out the door late for work. Low energy and no motivation meant I didn't put makeup or even moisturizer on my face. However, I did brush my teeth. I figured showing up to work, albeit a bit disheveled, was better than staying in bed all day. Somehow I had enough strength to beat back those demons long enough to get moving. Other days I'm not so fortunate. 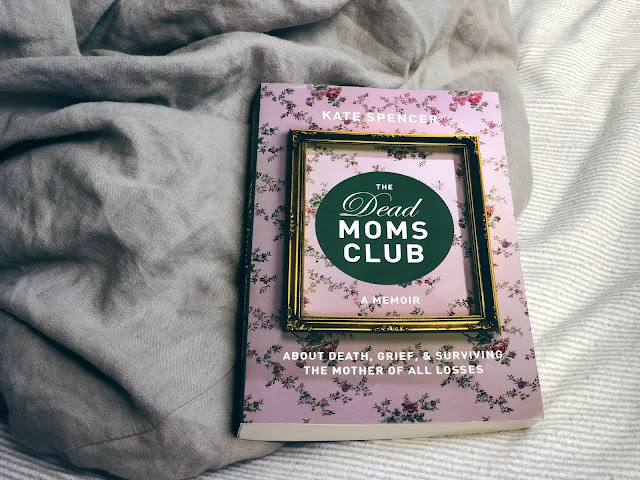 I've been reading Kate Spencer's book, The Dead Moms Club, over the past few weeks. It's been comforting to know that my feelings and struggles are not mine alone. She explains grief in a beautiful, hilarious, and real way that is extremely refreshing. "What is it like to be a family unit for so long and then lose the constant thing that connected you, grounded you, made you whole? 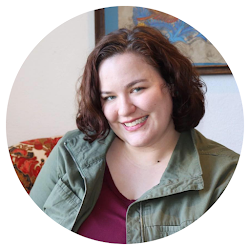 My family, once on such a clear path, now felt like a group of sailors on a boat returning to a port that had suddenly disappeared." I've been a member of the dead moms club for six months now. It's a membership that will always renew and never expire. Even though some time has passed I still can't comprehend what the rest of my life is going to look like without her. It's still hard to believe she's actually gone. Like Kate Spencer says, I'm never going to be over it and no post or photo will ever fully capture the swell of pain inside me. But I'm going to keep trying. She may not be with me here on earth but she is with me in spirit. And although it seems like eons away, I know I will be with her again. Clarissa, beautifully written, but as you well know by now, only YOU can feel that grief and that pain. Others will have their own pain and grief. Each one is experiencing it in their own way. But putting it in words is in a way, therapy. It helpd you cope and allows you to grow through your pain and grief. I too am a member of that same club, have been since 1977. My mom too was too young to leave. Even if the mother is old and has lived a full life, the pain of losing her is always going to hit hard, and daughters are hit hardest.